Ever wondered what it is like to be a CEO for a day? Well now is YOUR chance to find out!!! 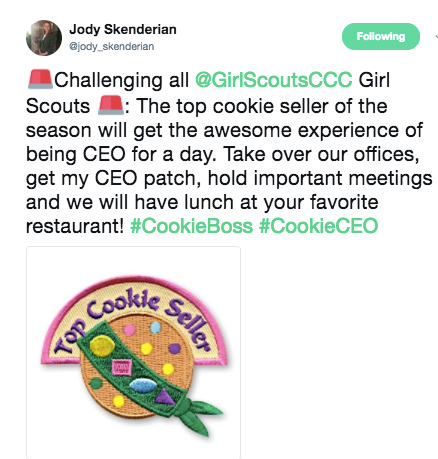 Our CEO, Jody Skenderian, has put a call out on Twitter for the top cookie seller of the season! The winner will be announced at the end of the Girl Scout Cookie Season. Cookie season ends March 11. Good Luck!